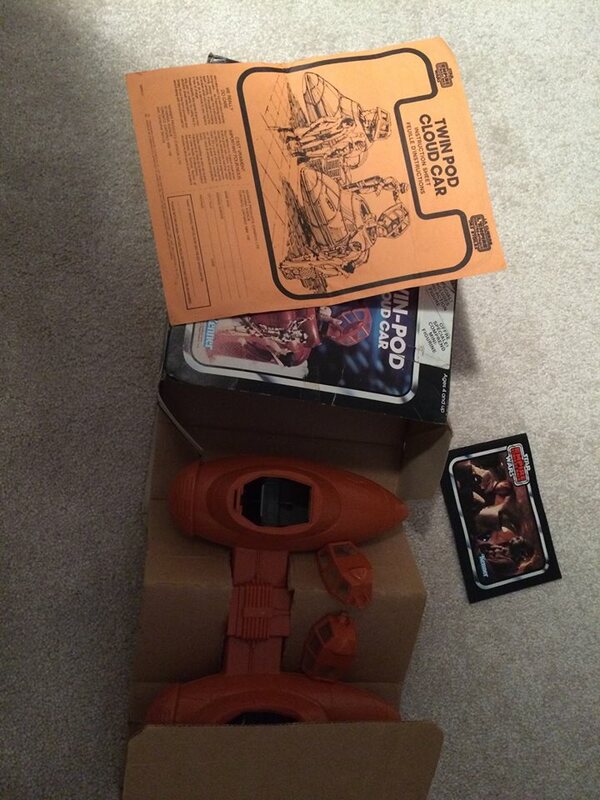 So I've owned this damned thing for 7-8 years having acquired it as part of a paperwork lot from Canada via eBAY. 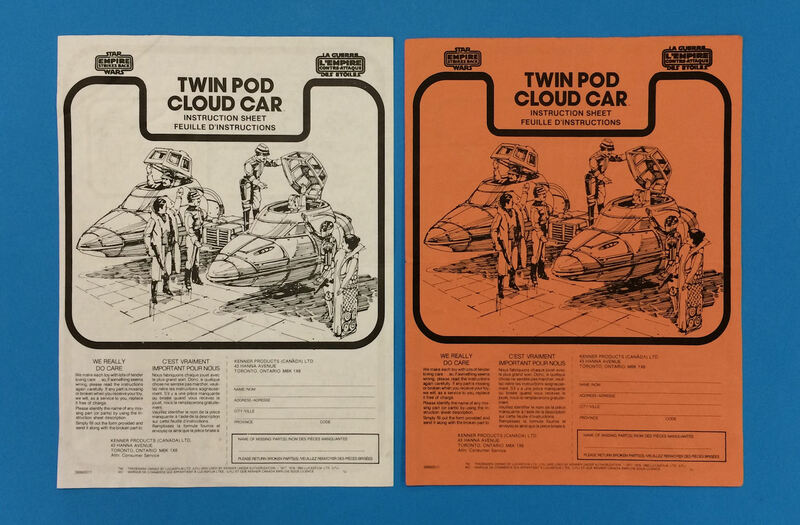 Everything about it looked legit, the print quality, imperfections in the artwork which matched the standard white leaflet, but what the hell was it??? 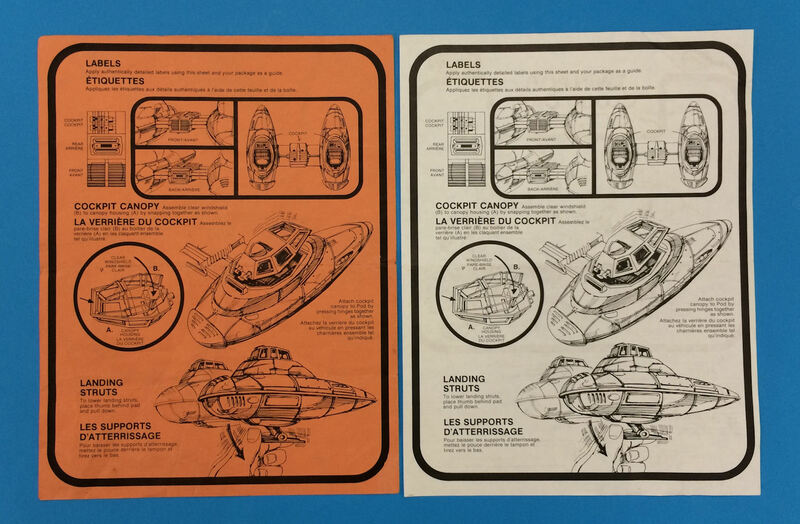 Well after failing to get to the bottom of it a couple of years ago on RS, I thought I'd give FB a try, so I pop up a few pics and a request for help on "La Guerre des Etoiles (Star Wars) Collectors" and bingo Todd Thornhill and Noel Dwyre came to the rescue. 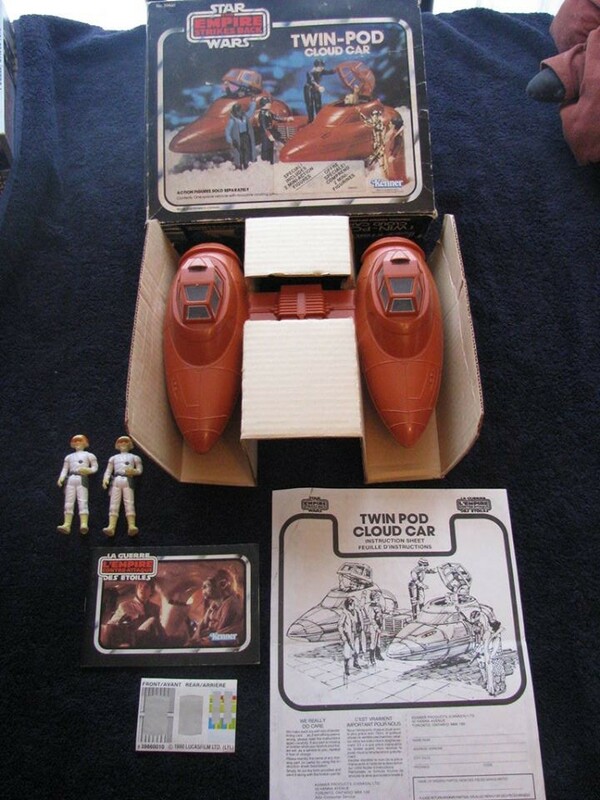 So it appears that in Canada the Cloud Car playset was released as 2 special offers. The first included 1 free CCP figure, the second later one 2 free CCP figures, and guess what??? Now how said FB was a load of shite LOL!!!!! Leave it up to those maple syrup loving, beer drinking, weed smoking, poor spelling bastards to print something on coloured paper. Fantastic story, thanks for sharing, Stef!